Inform and Consent to IVF: More Than Just Sign Here. A Characterization of Gestational Carriers Using the Thematic Apperception Test. 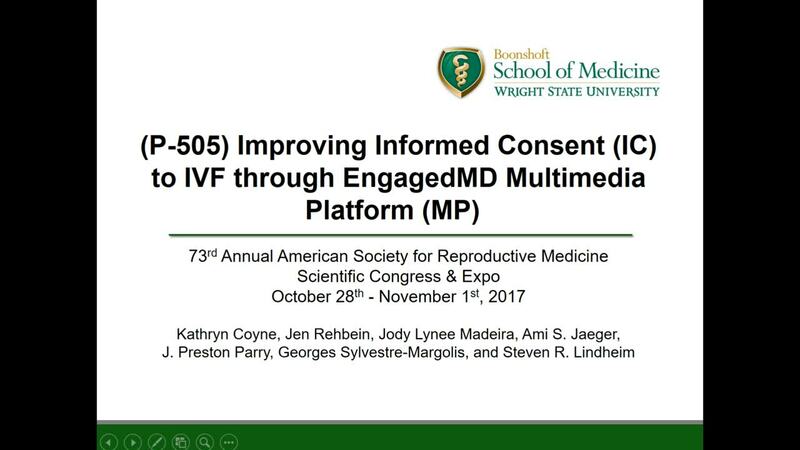 Improving Informed Consent (IC) to IVF Through a Multimedia Platform (MP). 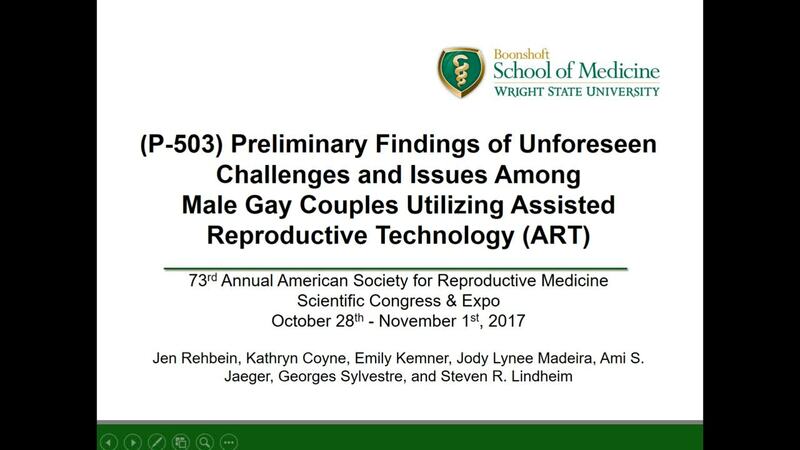 Preliminary Findings of Concerns & Challenges Among Gay Fathers Utilizing IVF & Gestational Carriers. 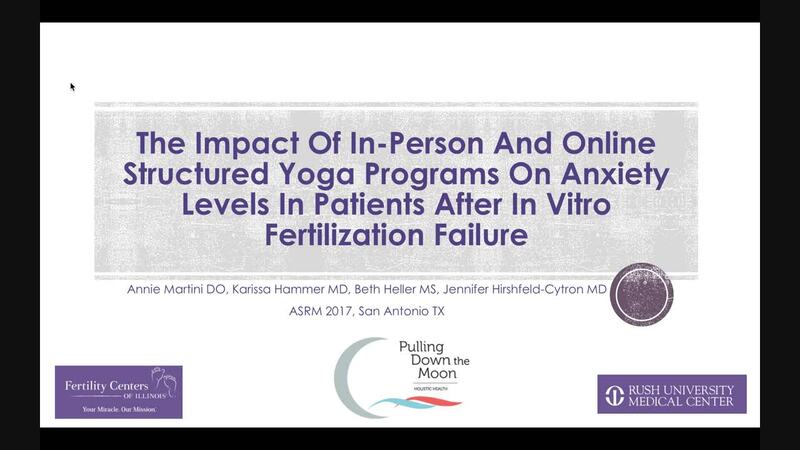 The Impact of In-Person and Online Structured Yoga Programs on Anxiety Levels in Patients After in Vitro Fertilization (IVF) Failure: a Preliminary Analysis. The Fate of Supernumerary Cryopreserved Embryos: Insights into Couples' Disposition Decisions. OBJECTIVE: IVF’s ethical and medical considerations make informed consent (IC) difficult, including forms’ length, jargon, and physicians’ informational duties. We assessed patients’ IC experiences and perceptions. MATERIALS AND METHODS: A survey obtaining responses through forums, listservs, and blogs from patients undergoing autologous IVF in the past 5 years. Questions evaluated consistency in IC administration, patient perceptions regarding IC importance, redundancy, protections, and effects on treatment relationships. Data were grouped and analyzed based on age and primary income. RESULTS: 267 subjects, age 22-50, responded; 90% (216) were Caucasian and 56% (136) were ≤35 yrs, 30% (72) were 36-40 yrs, and 14% (35) were >40 yrs. IC was signed before IVF as a separate (85%) or single (15%) document, upon receipt (77%) or later (23%), where 82% signed before a required witness. Two-thirds read the entire IC, with 18% somewhat carefully and 35% very carefully. However, 36% found it something to get out of the way, 8% difficult and confusing, 93% too long, 27% overwhelming, and 18% unhelpful. But while 39% asked questions, 12% requested changes to forms, and 9% tried negotiating changes, 41% didn’t discuss IC with medical staff. Physicians agreed to consent form changes only 8% of the time. Patients reported discussing selective reduction more often in those ≤35 yrs (87%) vs. 36-40 yrs and >40 yrs (76% and 69%, p=0.02). Those >40 yrs were less likely to read embryo disposition consents (25% vs. 5% and 5%, p<0.001, respectively). Those making <100K/yr were more likely to read the IC very carefully (51%) and less likely to view IC as something to get out of the way (36%) vs. those making 100k-125k/yr and >125k/yr (34%, and 43%, p<0.05, and 63% and 58%, p<0.001). CONCLUSIONS: These findings suggest IC information is not always consistently disseminated among patients and that medical and legal safeguards may be suboptimally balanced with comprehensibility and thoroughness. Reconsidering classic approaches to IC may improve patients’ understanding and experiences.